For a succinct statement of the order and date of publication the reader is referred to the chronologic index at the end of the bibliography. 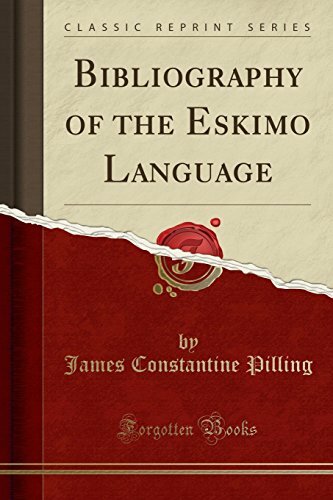 The best collection of Eskimo texts I have met with is that of Major Powell, of Washington; the second, perhaps, that in the library of the British Museum. The best collection of Arctic literature is that in the British Museum; the second, that in the Library of Congress.